The VMT / Orcem project is contingent on two parcels of land: one they are leasing from the City and one they claim to own outright. 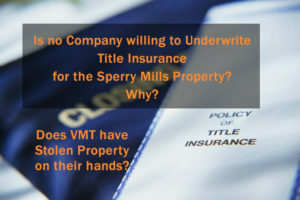 After extensive research we find no evidence of title insurance on the private property. How is that possible? Is the title clouded?